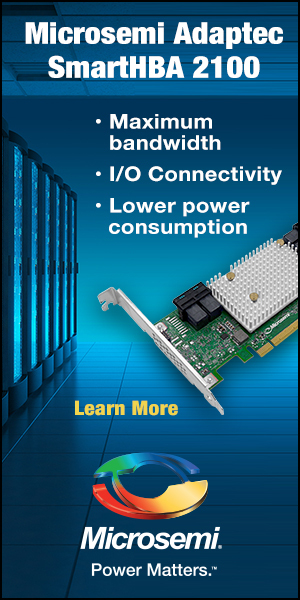 Data transfer and backup has always been one of the hot topics when it comes to i-products. Have you backed up lately? Do you need to again? Also, are you even near your computer when you thought of this? Will you remember later? The questions can go on for days, but there is an answer and a great one at that, Adata’s new i-Memory 64GB Flash Drive. The packaging is a sleek and slender as the drive itself, no bigger then a key fob for a car at 16grams packed in dimensions of 61mm x 33mm x 10mm. A White box with the drive itself centered in the plastic window centered on the box. The front boasts the size of the drive, 64GB, along with supporting 4K playback and is USB 3.0 ready. This drive is also specifically designed for apple products. 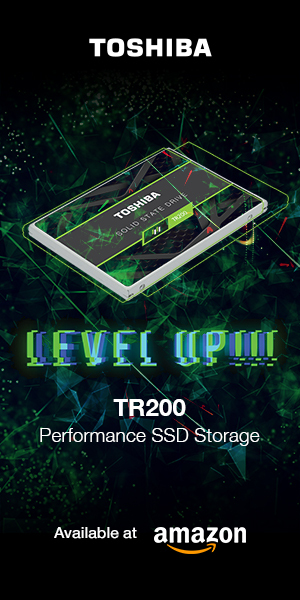 The i-Memory drive comes in 32/64/128gb options and colours of black/white/rose gold. Currently you can get this drive for $89.99 on Amazon. The Drive has no caps as when the push-guide is in the position shown above it locks in place and conceals both adapters. Below you will see each extended and locked out. For the most part the drive works just as a USB drive and is plug and play as far as the computer side goes. 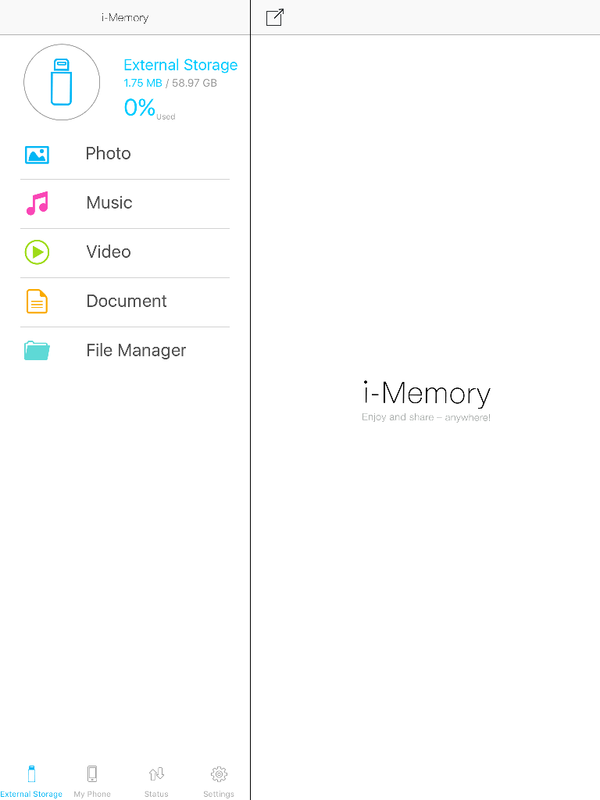 To use the i-Memory Drive on your wireless devices you will have to download the iOS app. 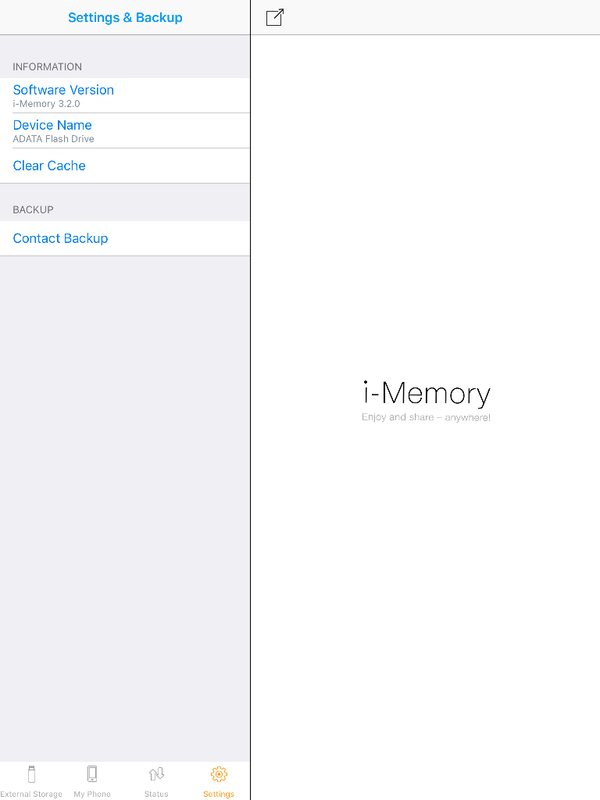 Type in i-Memory to the app store and it should be the first one that pops up with a logo like the one below. Installed on both our iPad and iPhone. We had no issues installing on either device and takes seconds. The app itself is very easy to navigate below you will see three of the main screens the forth is simply a transfer status page that tracks what you move around from the device to the drive. 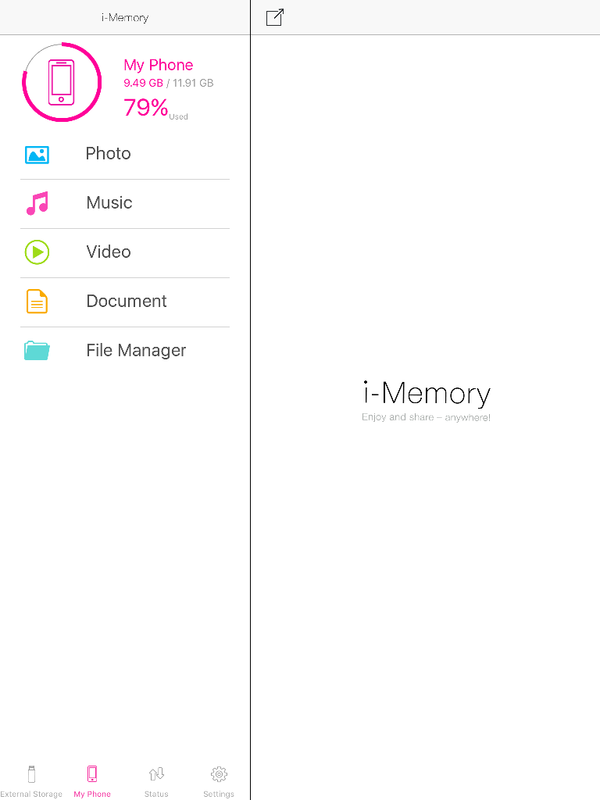 The first screen shows the Drive data and as you can see the separate sections for photos, music, videos and documents. The second shows your device data and what it holds. Finally you have the settings page which gives you software version, device name the ability to clear the cache and also backup your contacts in case you lose or destroy your device. To move any files it is as simple as it seems. Find the file you wish to move on either the device or drive and hit the “copy to” button that will appear at the bottom of the page. 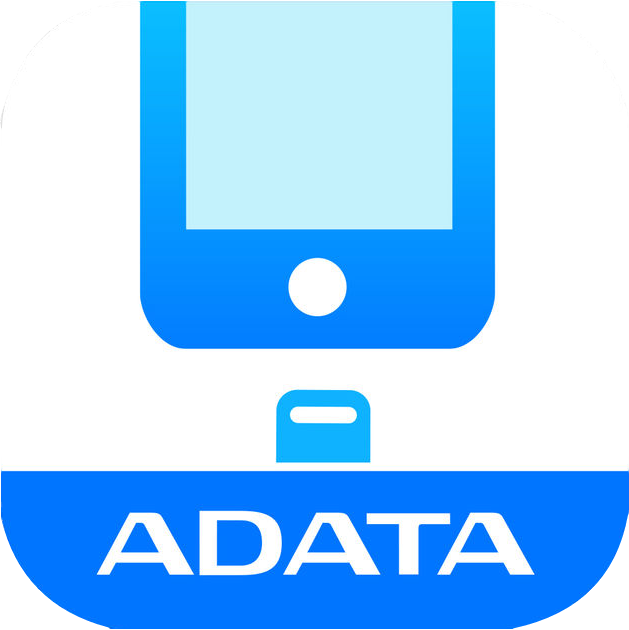 Adata's i-Memory drives are a great solution for the on the go person who wants to share their photos, videos or anything else!